13. Avoid sticky situation If the lid of your glue won’t undo because it’s stuck to itself, try keeping a pot of Vaseline in the same place as you keep the glue. When you use the glue, get into the habit of dabbing a little Vaseline on to the threads before you close it, and it will open easily next time. 14. Protect your thumbs If you’re hammering in a nail and fear for your thumbs, stick the nail through one end of a folded sheet of stiff paper then hold the other end as you hammer. Just before the nail is fully hammered in, tear the paper away. Or use tweezers or long-nose pliers to hold the nail. 15. Show screws who’s the boss If you are screwing a screw into a tight spot, keep it in place by magnetizing your screwdriver. Do this by dragging its blade over a magnet (on your fridge door?) several times in one direction. Keep the screwdriver away from other metal objects and it should hold its charge for a week. 16. Banish plaster dust If you are drilling into a ceiling, first drill through the center of a plastic coffee jar lid, leaving the lid on the drill bit. Then, as you drill, hold the lid steady and it will collect the dust. Clear lids are ideal so you can see the bit. For walls, tape an open paper bag or coffee filter under the hole. 17. 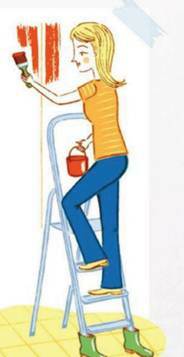 Tame tricky ladders Make sure your stepladder has skid-free traction on smooth surfaces by standing the feet in an old pair of children’s Wellington boots. 18. Freeze your own healthy snacks Frozen fresh fruit makes a brilliant alternative to an ice Jolly – with far fewer calories. Line a rimmed baking sheet with bake well paper and arrange sliced raspberries, peaches, blueberries or grapes in a single layer before freezing. Once frozen, transfer to small freezer bags. Keep for a month. 19. Berry up your butter Blitz up any extra berries with some butter to make a colorful and delicious spread of bread or scones. Refrigerate in an airtight container for three days or freeze for a month. Adult portion sizes 100g of pasta or 75g of rice per person. A mug is handy for measuring uncooked rice – a full mug is perfect for four adults. Use handfuls or measuring shaped pasta – two handfuls per adult and one handful per child. See lovefoodhatewaste.com. 21. 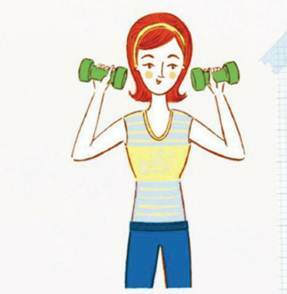 Daily arm workout Demonstrated by a certified personal trainer, these simple, gradual workouts range from five to 30 minutes to strengthen and tone your arms. 22. BMI iPhone app tracks your BMI and weight changes over time in a method approved by the Department of Health. Plus sends reminders and tips. 23. NHS alcohol tracker monitors your intake so you don’t exceed the recommended two to three units a day. 24. Couch to 5k is aimed at novices and is a nine-week audio running programmer that gradually builds your fitness so you can complete a 5K run. 25. The snack app tracks down snack idea containing your chosen calorie content. Plus gives fun ideas on how to burn off those “snack calories”. 26. Eye check tests for clearness, focus, color vision and the ability to distinguish a series of objects. Download it and book a consultation at Boosts Opticians for just $7.5! 27. 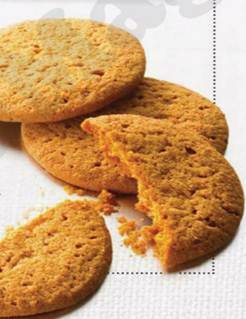 Biscuits that have lost their crunch can be mixed with melted butter and used as a cheesecake base. 28. Use last drops of jam by rinsing remnants with warm water and adding to gravy pan. 29. The cake past its best could be used in a trifle. 30. Add some paprika or chili to that almost empty marmalade jar, put the lid on and shake to create a marinade. 31. Be creative with items you need to use up – couscous where you’d normally use rice, for instance. 32. Opened jars in the fridge? Get into the habit of writing on the lid the date they were opened.